BET announced today that Academy Award-winning actor and Grammy Award-winning musician Jamie Foxx as this year’s 2018 “BET Awards” host. Celebrating 18 years of groundbreaking moments, outlandish performances, and hilarious substance. The “BET Awards” will continue to touch base on cultural topics and conversations relative to todays issue setting the standard for a news-provovking and talked-about broadcsts. 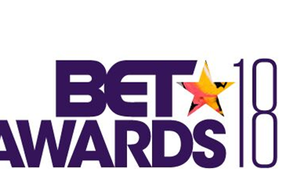 The “BET Awards” airs LIVE on Sunday, June 24th at 8pm ET from the Microsoft Theatre in Los Angeles, CA on BET. DJ Khaled dominates this year’s nominations with a total of 6 including ‘Video of the Year,’ two for ‘Best Collaboration,’ with Rihanna and Bryson Tiller for ‘Wild Thoughts,’ and with Jay-Z, Future and Beyonce for ‘Top Off,’ ‘Album of the Year’ and Coca-Cola Viewer’s Choice.’ Following closely behind is Kendrick Lamar with 5 nominations including ‘Best Collaboration,’ with Rihanna for ‘Loyalty.,’ ‘Video of the Year,’ ‘Album of the Year,’ and Coca-Cola Viewers’ Choice.’ Other leading nominees include Migos and SZA nominated for four awards each. Be the first to comment on "BET Announces Jamie Foxx As The “BET Awards” 2018 Host"